You already know how awesome Chabad Hebrew School is! Share the joy of Judaism with a friend. 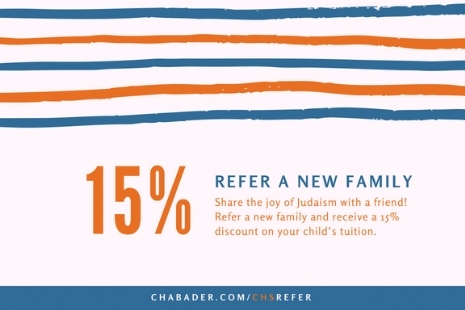 Refer a new family and receive a 15% discount on your child’s tuition. Why we love Hebrew School?